Easternpak’s corrugated cartons can be used to package and ship Nestlé bouillon, soup, instant cereal, ketchup, and noodle products. 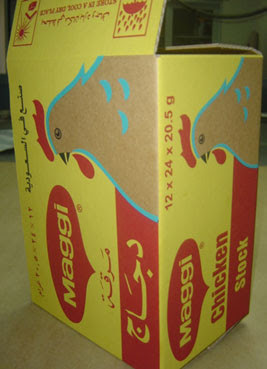 Easternpak Ltd., Saudi Arabian-based corrugated manufacturer, has been formally approved as a supplier of cartons and shipping cases to Nestlé’s Saudi Arabian subsidiary, Saudi Food Industries Co. Ltd., as of 8 August 2007. Nestlé is the world’s largest food and beverage manufacturer, employing around 265,000 employees in over 480 plants across the globe. Easternpak has also received excellent ratings in previous supplier evaluations by Coca Cola, Pepsi-Co, Procter & Gamble, and Unilever. Easternpak is ISO 9001:2000 quality management system and HACCP certified.